A man has been arrested by Cleveland Police after jewellery was stolen from the home of an elderly woman in Seaton Carew. Officers from Cleveland Police launched an appeal after a man entered the victim’s home in Lawson Road, Seaton Carew, at around 4pm on Saturday, February 9, claiming to be collecting window cleaning money. They say the thief then stole a large quantity of jewellery including: a gold collar-style necklace from India; a silver necklace (pictured here); a pearl necklace and an Italian murano glass necklace. A semi-precious lace-style necklace with blue stones; earrings with blue stones; a gold necklace with crystals and; a gold women’s wrist watch were also stolen as well as an engraved gold compact mirror. All had great sentimental value. 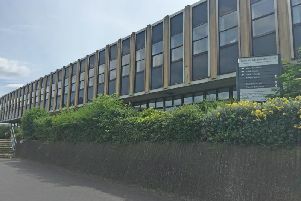 Now police have now told how they have arrested a 39-year-old man in connection with the case. A Cleveland Police spokesperson said: "A 39-year-old man has been arrested on suspicion of burglary following the theft of an elderly woman’s jewellery in Seaton Carew. "He has been released under investigation while inquiries continue. "Irreplaceable mementoes including a gold engraved compact, silver pendant, Italian murano glass necklace and a gold collar-style necklace from India were stolen from a home in the Lawson Road area on Saturday February 9 at around 4.20pm. "Thank you to everyone who shared our appeal for CCTV footage and information. "If you missed our original appeal for information but still think you can help please call 101, quoting reference number 022961."